Physiology-guided PCI: what is the right choice for the most accurate decision making? This expert-led discussion was filmed on 21st September 2018 with Professor Adrian Banning (as moderator) and Professors Thomas Engstrøm and Giuseppe Tarantini. 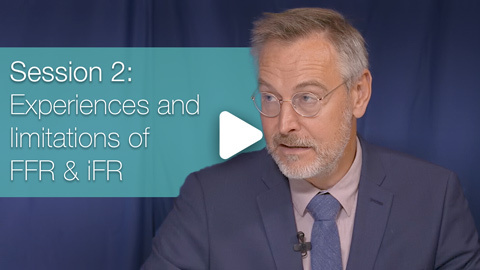 This footage aims to highlight the limitations of FFR and iFR and how novel technologies and emerging resting indicies may offer solutions in coronary physiology. 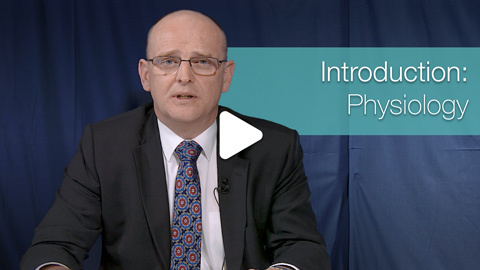 learn more about patient-specific decision making strategies in physiology-guided PCI. discuss the limitations of FFR and iFR measurements and gain insight on how to overcome them. become aware of signal drift on pressure guidewire and novel technologies that limit its impact on accuracy. assess the role of emerging resting indices such as dPR. 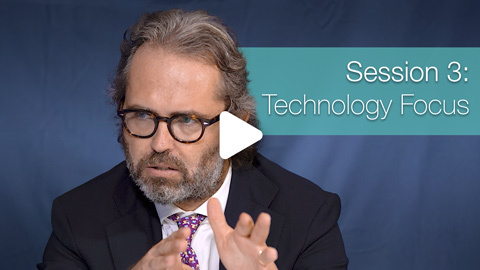 listen to the personal insight of Cardiology Key Opinion Leaders on the future of coronary physiology. Prof Adrian Banning : Professor Banning is the Professor of Interventional Cardiology at Oxford University. He has had a prominent role in a number of pivotal trials in Interventional Cardiology including Taxus, Syntax and Excel. He has a particular expertise in treatment of the left main coronary artery with stents. 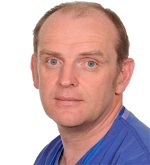 His research interests include minimising revascularisation injury and optimising myocardial revascularisation in STEMI. 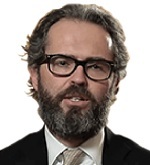 Thomas Engstrøm : Thomas Engstrøm is a professor of interventional cardiology at the Department of Cardiology at The Heart Center, Rigshospitalet, University of Copenhagen, Denmark. 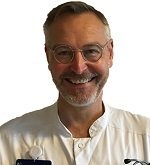 His main research interests include myocardial protection in ischaemic heart disease with special reference to reperfusion injury, percutaneous assist devices in cardiogenic shock, the significance of pressure-derived strategies in percutaneous coronary interventions and magnetic resonance techniques in acute myocardial infarction. Giuseppe Tarantini : Professor Giuseppe Tarantini serves as Head of the Interventional Cardiology Unit, Department of Cardiac, Thoracic and Vascular Sciences, University of Padua Medical School, Padua (Italy) and in an internationally renowned researcher in the fields of ischaemic heart disease, structural heart disease and cardiomyopathies. He acts as first operator for a wide range of interventional procedures including Coronary interventions (including atherectomies), Peripheral interventions (Carotid and Renal) and Structural Heart interventions (ASDs, PFOs, TAVI and AVP). Professor Tarantini is a faculty member of a number of international conferences including Transcatheter Cardiovascular Therapeutics (TCT), Congresso della Societa Italiana di Cardiologia Invasiva (SICI-GISE), Euro PCR and European Society of Cardiology (ESC). He has published 245 clinical papers and serves as an editorial board member and reviewer for a number of respected journals. Acist. Rapid Exchange (RXi) System and Navvus Catheter. 510(k) Filing, K132474.Jan 2014. Agarwal, et al. JACC Cardiovasc Interv. 2016;9(10):1022-31. Ahmad Y, et al. JACC Cardiovasc Interv 2018;11:2010-31. Berry C, et al. Circulation 2017;136:2389-2391. Chambers, Jeff. Electric or Optical Fibers Based Pressure Measurements. Presentation sponsored by Boston Scientific at 19th Tremblant Interventional Cardiology Meeting. 2016. Cook CM, et al. Circ Cardiovasc Interv 2016;9(4): e002988. Cook C, et al. J Am Coll Cardiol Intv 2017;10:2514-24. Cuculi F, et al. JACC 2014;64:1894-904. Curzen N, Comet Study. PCR 2017. Study presentation. Engstrom T, et al. Lancet 2015; 386:665-71. Escaned J, et al. ACC Cardiovasc Interv, 2018;11:1437-1449. Gabor TG, et al. J Am Coll Cardiol lntv 2016;9:453-9. Hakeem A, et al. JACC 2016;68:1181-91. Johnson N, et al. J Am Coll Cardiol. 2014;64(16):1641-1654. Kim HL, et al. JACC Intv 2012;5:1013-8. Kobayashi Y, et al. JACC Cardiovasc. I nterv. 2016;9:2390-2399. Leonardi R, et al. Cardiovasc Revasc Med 2013;14:218-22. Pijls N, et al. Fractional Flow Reserve, Coronary Pressure Wires, and Drift, Circ J.Vol.80 August 2016. Scarsini R, et al. Int J Cardiol. 2017;243:40-46. Smits PC, et al. NEJM 2017;376:1234-44. St. Jude. PressureWire Aeris, Instructions for Use, 20828 Rev 0F. Tarantini G, et al. Circ Cardiovasc Interv 2018;11(6):e006247. Tateishi R, Comparison of accuracy of tractional flow reserve using optical sensor wire to conventional pressure wire. ESC 2018. Abstract presentation. Van’t Veer M, et al. J Am Coll Cardiol. 2017;70(25):3088-96. Wilson RF, et aI. Circulation 1990;82:1595-606.